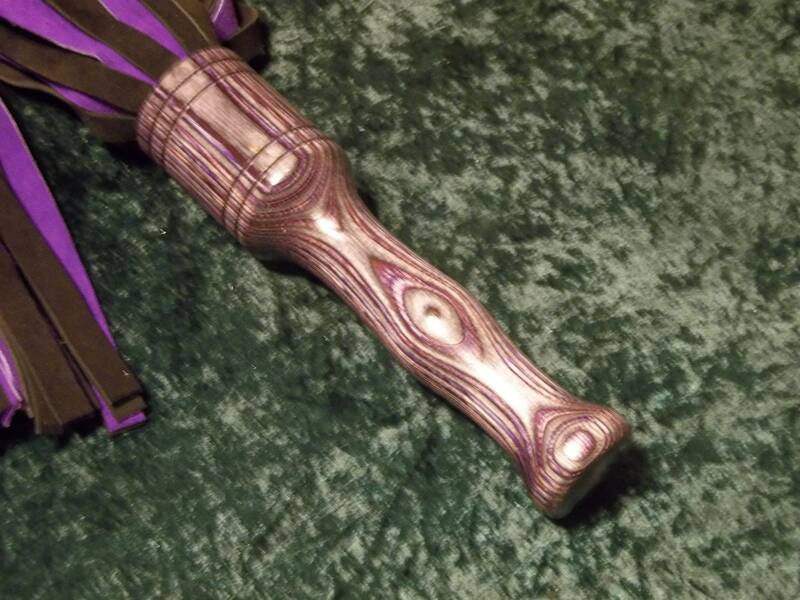 Fabulous Extra Heavy Black and Purple Suede Flogger with Hand Turned Handle! Handmade! 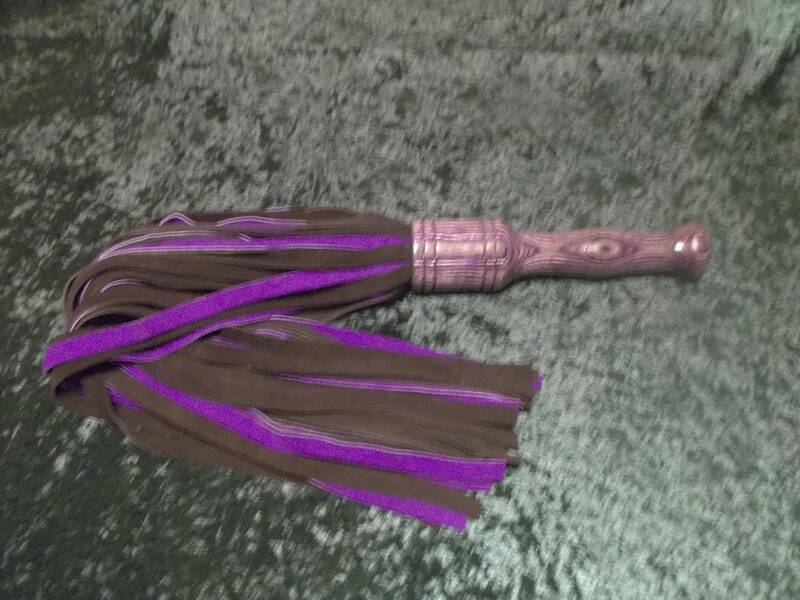 This is a beautiful black and purple suede flogger with a gorgeous hand turned laminate handle. It is approximately 30" from end to end. There are 60 - 1/2"wide falls. The falls are about 22" in length and the handle is 8" in length. However, with this item, please use with caution as this item could seriously hurt someone. This, like all of the items on our site, is very unique and handmade with the utmost quality and concern for details. However, as with all items from our site, please play safely. These items can cause serious injury if used improperly.